The best time to visit Pondicherry is during winter season, from October to March. The summers (April-June) in Pondicherry are, generally, hot and humid. Which are the top 5 must-visit places in Pondicherry? Manakula Vinayagar Temple, Rock Beach, Seaside Promenade, The Basilica of the Sacred Heart of Jesus, Eglise de Notre Dame des Anges, are the top places that every tourist should visit while in Pondicherry. 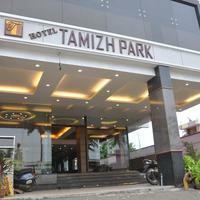 How can I get attractive discounts on hotels in Pondicherry? 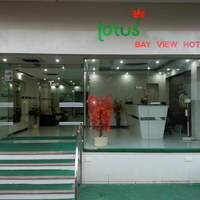 You can go to the online travel sites, such as Cleartrip, where all types of hotels in Pondicherry are available. One of the best advantages of booking through Cleartrip is that it offers a wide range of coupons, offers and best deals on per booking. Can unmarried couples stay in hotels in Pondicherry? Yes, there are many hotels in Pondicherry where unmarried couples are allowed to stay. However, it is necessary to carry an original ID proof (such as Aadhar card or Passport, etc). Well-known hotels do not allow unmarried couples. How can I find hotels near arulmigu manakula vinayagar temple in Pondicherry? 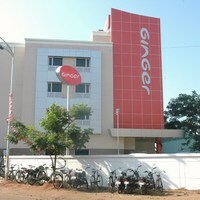 One can easily find hotels near arulmigu manakula vinayagar temple on Cleartrip. You just need to enter the location in the Where field option on the Hotels Page. The lists of hotels in Pondicherry will be displayed in the search results and one can book as per the need and budget. 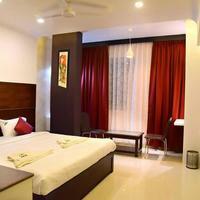 How do i book hotels in Pondicherry near beach? Enter the location as “Pondicherry followed by specific beach” in the Where location filter on the Hotel Page of Cleartrip website. The results will be displayed, and you can choose the hotel based on your choice and budget. Do hotels in Pondicherry offer wheelchair facility ? There are a few hotels that provide wheelchair facility. However, do contact the hotel to get a prior confirmation on this matter. This must be done prior to booking to avoid any hassles. What can i buy from Pondicherry? One can buy fabrics of various kinds, ceramic articles, leather products, hand-made papers, and many more from Pondicherry. Can you tell which are the popular night clubs in Pondicherry? Pondicherry has some of the best budget night clubs, similar to those in Goa, such as Shanmuga Theater, LB2 Lounge, and Le Club, to name a few. Which are the top 5 beaches in Pondicherry? The top five beaches in Pondicherry are Pondicherry University Beach, Serenity Beach, Rock Beach, Promenade Beach and Paradise Beach. Which are the famous sightseeing places in Pondicherry? Places, such as Arulmigu Manakula Vinayagar Temple, Rock Beach, Immaculate Conception Cathedral, Seaside Promenade, The Basilica of the Sacred Heart of Jesus, and Paradise Beach are some of the top sightseeing spots in Pondicherry. What are some of the activities that one can do in Pondicherry? One can go for adventurous activities or go for shopping at the local markets while in Pondicherry. Trekking, resort outing, rafting and, spa retreat are some things to do in Pondicherry . What are the best party places in Pondicherry? One can hang-out with friends and party at restaurants in Pondicherry. You can easily choose one as per your need on Cleartrip. What activities and experiences can I enjoy in Pondicherry? One can choose outdoor activities, such as trekking, yachting, camping, rafting, and paragliding or visit a theme park or explore the wild life in order to make a visit to Pondicherry a memorable one. How do i book a room for my international guests in Pondicherry? One can easily book a room for their international guests on Cleartrip. 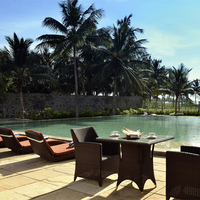 You can easily find high-end, luxury hotels on the Hotels Page. The lists of hotels in Pondicherry will be displayed in the search results, and one can book the hotel based on the need and preferences of their international guests. From where can i book a good resort for a day outing in Pondicherry? 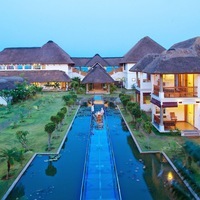 Day outing at a resort in Pondicherry is a great way to spend a day with family and friends. Cleartrip offers amazing resort day outing options in order to have a memorable time with your near and dear ones in Pondicherry. 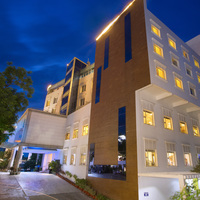 Which are some of the 5 star hotels in Pondicherry? 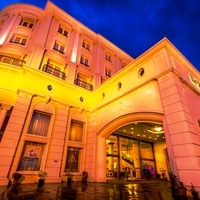 Accord Pondicherry, The Promenade, Le Dupleix are some five-star hotels in Pondicherry. One can avail amazing deals and other benefits at Cleartrip.com. 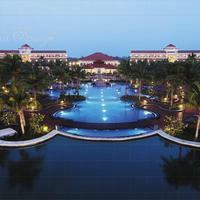 Which are some of the good beach hotels in Pondicherry? In Pondicherry, Roadway Inn, La Quinta Inn North Myrtle Beach and, Comfort Inn are a few top options. 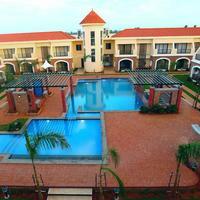 These hotels offer great facilities and the best part is that they are located near beaches. 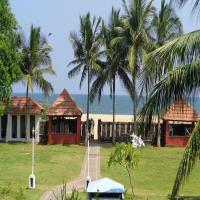 Which are some of the major beach resorts in Pondicherry? 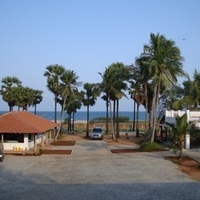 Golden Toff Resort, Pali Beach Resort, The Resort and, River Winds Resort are some beach resorts in Pondicherry . 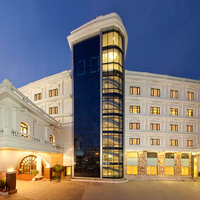 What are the top hotels to stay at Pondicherry? 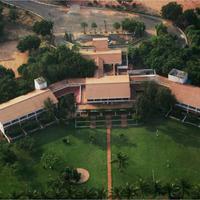 Accord Pondicherry, The Promenade and, Le Dupleix are a few of the top hotels in Pondicherry. 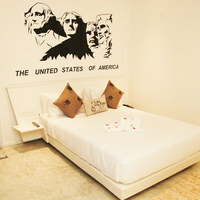 You can book your stay at Cleartrip.com to avail the best deal. Booking through the website also entitles you to various other benefits. Which is the best place to enjoy a dinner buffet in Pondicherry? The top listed places to enjoy delicious dinner buffets in Pondicherry are 24/7, The Earth Plate, The Regale by Tunga and many more. You can easily opt for vegetarian or, non-vegetarian food and even for multi-cuisine buffets. What are the top places of interest in Pondicherry? Pondicherry Beach, Promenade, French War Memorial, Bharati Government Park, Pondicherry Botanical Garden, Chunnambar Boathouse, and Pondicherry Museum are some of the top places of interest in Pondicherry. Can you tell me about some homestays in Pondicherry? There are not many homestays in Pondicherry apart from Inn Pondiville. For more details, you can visit the Cleartrip website. How is the nightlife at Pondicherry? 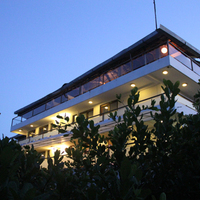 The small city of Pondicherry has many tantalizing nightlife options. One can head to any of the nightclubs and bars available in the city for partying with friends. Are there any villas in Pondicherry? Yes, there are many options available on rental as well as sale basis. 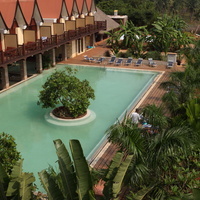 For more information, you can visit Cleartrip.com. 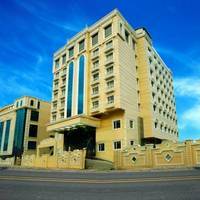 Is parking facility available at Pondicherry hotels? Almost every hotel has parking facility. For more details on hotels with pool in Pondicherry, visit Cleartrip website and book the best hotel that fits your requirements and budget. The hotels that are located close to the beach also offer valet parking. Do beach hotels in Pondicherry offer a bar facility? Yes, there are many hotels that offer bar facility in Pondicherry. 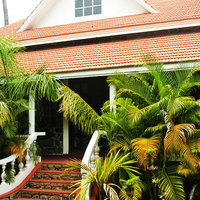 Le Dupleix is one such hotel that you can consider booking. 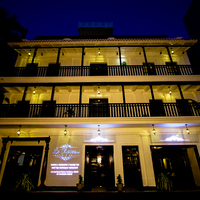 Check out more hotels by typing ‘hotels with bar’ in Pondicherry on Home Page . Where can I go for weekend getaway from Pondicherry? From Pondicherry, one can go to places such as Vellore, Thanjavur, Tharangambadi (formerly Tranquebar) or Yercaud for a weekend getaway. Most of the travellers prefer road trip to reach these destinations.